The half payment budget method might be what you need. If traditional budgets do not work, you really might want to consider this method instead. 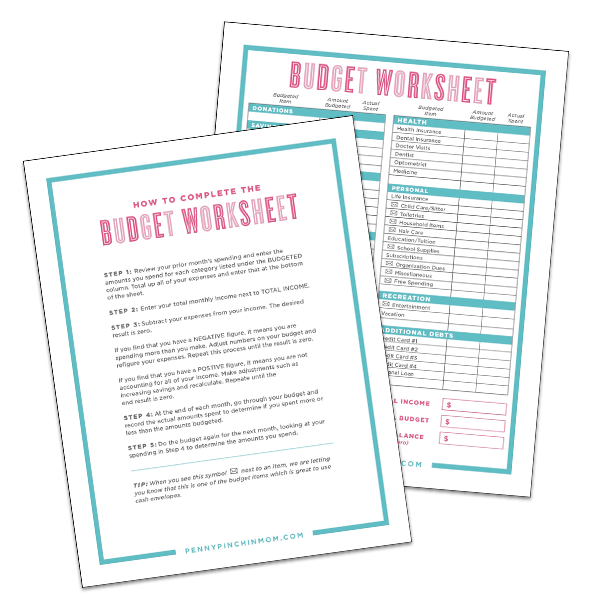 If you do any research, you will find many ways to budget. However, many times, the options you find do not work for you. That is why it is important to find the right budget for your needs. A new one you may not have tried is the the half-payment budget method. This system helps many people stop living paycheck to paycheck. Simply explained, it is where you take your regular, recurring payments and divide them in half. Each payday, you set aside the necessary money out of each check so that you have the full payment available when it is due. The half payment is not paid at that time, but rather you hang onto it and pay it on the due date. If you do the math, you will notice that you still have the same to spend over the course of a month, however, you will see a difference in the amount from each paycheck. You might show that you have more money left after your 2nd paycheck of the month, but will you really save that? Most people do not. If they have extra month to spend, they just spend it. I would not recommend that you jump in and change all of your bills so that they are paid using this method. That may be too much and you might quit before you even really get started! Instead, select one bill, such as a car payment, and try using the half payment method for a few months. Once you see it works, you can transition other bills into this same payment method. So, why would you use the half payment method? For many it works better because you have around the same income to spend out of every check, rather than cutting your spending in half like you see in the second example. For many, there is always that paycheck that makes spending tough. When you have to pay a few larger bills all out of one check, it often leaves little to no money left for other purchases. By changing to the half method, you are still paying your bills, but you are just earmarking money to pay a bill due later in the month. You still have the same income. You still pay your bills on time. However, you have more disposable income every two weeks by doing it in this way. What is great about this method is that it works no matter how you are paid. If you are paid monthly or weekly you might try using a quarter payment method every week (breaking out your check to leave spending weekly). If you want to learn more about understanding your money attitude, change your spending habits and get out of debt once and for all, check out the Financial Rebook eBook. Not to mention the interest you are saving as you reduce your principal balances on mortgages and car payments by paying “half” at a time. It adds up! This is what I was thinking too but Tracie starts by saying not to pay them until their due. Tracie can you share your reasoning for that? That is for ease for you. If you pay half of them when you get paid, it may be simple to forget if you paid or not. If you just set the money back and pay when it is due, you know for sure. You would also need to make sure that the company accepts partial payments (sounds crazy, but some do not). How does this work if you are paid weekly? You would turn it into a 1/4 payment method and set back 25% of your bill amount from every check instead.